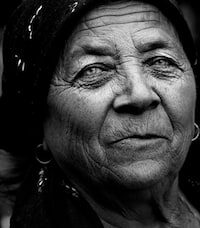 It is heartbreaking to think that nursing home workers and administrators could abuse or neglect an elderly person. Unfortunately, the state of nursing homes across the country is such that abuse is actually commonplace. Some nursing homes have turned into facilities geared toward profit-making rather than being focused on providing genuine care and medical attention to elderly people. When an elderly person does not receive the care that he or she needs, it is possible for that person to develop bed sores or even die as a result of a lack of proper care. According to the information gathered by Medicare, federal investigators found that twenty-seven (36%) of the 74 nursing facilities in New Mexico had serious violations and deficiencies. These New Mexico nursing homes are now ranked below the national average because these homes provide their residents substandard care. 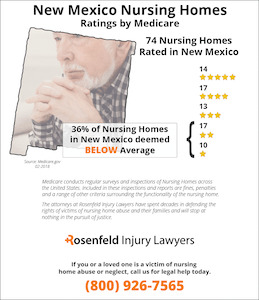 If your loved one was injured, abused, neglected, mistreated or died unexpectedly by residing in a New Mexico nursing home, we encourage you to contact the New Mexico nursing home abuse & neglect attorneys at Nursing Home Law Center to discuss your compensation claim during a free case review. Family members must be aware of the statistics that show the widespread nature of deficiencies in nursing homes throughout New Mexico. 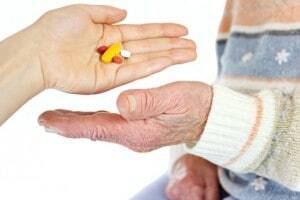 According to a study by the University of California-San Francisco, over 46 percent of nursing homes were caught dispensing unnecessary drugs to patients in 2008. Also disheartening is the fact that 17 percent of nursing homes were also discovered to have patients who developed bed sores in that year. Until nursing home administrators decide to improve the standards of their facilities, nursing home lawyers will be charged with the task of holding these individuals accountable for such deficient care. Family members of loved ones subjected to these horrific conditions can get in touch with a nursing home lawyer in New Mexico to learn about the rights of their loved ones. In New Mexico, the Adult Protective Services Act is the main source of protection for nursing home residents. This law maintains a system of protective services for vulnerable adults who are unable to protect themselves due to abuse, neglect and exploitation. “Abuse” has been defined under the law as any instance where a person knowingly, intentionally or negligently and without justifiable cause inflicts physical pain, injury or mental anguish on an individual. It may also be defined as the intentional deprivation of necessary services that maintain the mental and physical care of a vulnerable adult. Under this law, abuse also includes instances of sexual abuse. Furthermore, a “caretaker” is defined as any facility or provider that has assumed the responsibility of caring for an adult. The Adult Protective Services Act also maintains a procedure for handling reports of abuse and neglect. The reporting agency must conduct an investigation of the abuse report. The reporting agency must also continue to monitor the nursing home facility to determine whether it is disqualified from accepting state or federal grants. A reporting department may then file a petition with the court, and this petition empowers the court to take further measures in handling an allegation of abuse. A court will have the power to enter an order that provides involuntary protective placement of an adult if he or she is incapacitated, an emergency exists or the adult lacks an ability to consent to alternative placement. Family members may find that nursing home administrators attempt to diffuse the serious nature of a report of abuse or neglect. Family members should not allow these administrators to diffuse the serious nature of what is a legal claim against the administration. Under the law, residents have been prescribed certain rights and must have these rights fully recognized by nursing home administrators. These rights include the right to be treated with adequate medical care, right to be treated with dignity, right to be free from neglect and abuse and the right to be free from physical and chemical restraints. When administrators attempt to take control of a situation that involves abuse or neglect, it is likely that your issues will never be resolved. Instead, you should entrust your situation with a nursing home lawyer who has advocated for the best interests of elderly residents in the past. Call our lawyers today to receive the help you need for protecting a loved one. New Mexico nursing homes have an extensive history of serious issues involving patients with bedsores. In recent years, the numbers of individuals requiring a nursing home bed has increased dramatically, exacerbating the bedsore problem. With a higher demand for beds, many nursing facilities have struggled to find quality medical professionals to provide quality care to the home’s patient. As a result, many patients have become victims of nursing home neglect and abuse. Nursing homes with successful protocols for preventing facility-acquired bedsores require the staff to follow scheduled “turning” or “repositioning” of the patient’s body every two hours or less. Not taking this proper preventative measure could be considered negligence if the patient develops a decubitus ulcer. New Mexico nursing homes with a low incident rate of bedsore development are usually those that have created effective practices, protocols and guidelines. These facilities create an effective health plan for every patient upon admittance to the home. By implementing the plan, the nursing staff ensures the patient receives quality care including daily skin inspections and routine body repositioning. Usually, skin assessments occur at every nurse’s shift change around-the-clock. Alternatively, any developed bedsore left unattended can quickly progress to a life-threatening condition. In advancing stages, the wound can become susceptible to osteomyelitis (bone infection) or sepsis (blood infection). In fact, bedsore-related infections are one of the leading underlying causes of patient deaths in nursing homes. Nearly any bedsore in its advanced state is an indicator of negligence at the facility. Because had the nursing staff followed proper protocol, the pressure ulcer could have been avoided. 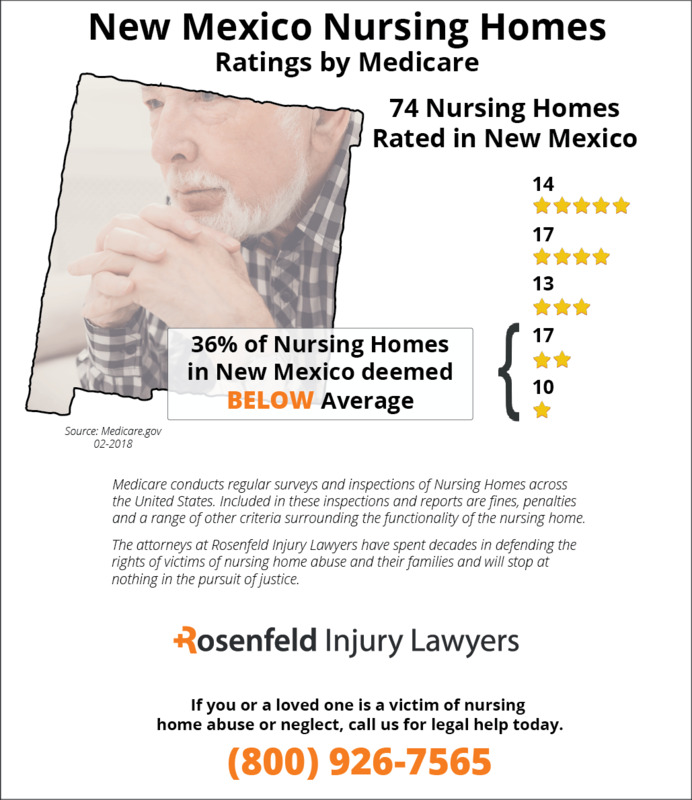 As a result, many family members with a loved one in a nursing home will hire a reputable New Mexico bedsore attorney to take legal action against the facility to stop the abuse. Stopping the neglect immediately is paramount to ensure that your loved one can heal properly. Usually, filing a complaint with the nursing home administrator will not bring about an immediate change in the level of care the facility provides. Typically, hiring a nursing home abuse lawyer to file a complaint or lawsuit is the only viable or affordable option. Our New Mexico nursing home attorneys listed below accept cases on contingency. This means that no upfront fees are required to stop the negligence and file a claim for financial compensation. Fill in the contact form here to schedule a free, no-obligation initial consultation to discuss every available legal option. The lawyer can stop the neglect immediately and ensure that your loved one is receiving the best medical care possible to keep them safe and improve the quality of their daily life. Medical malpractice – 3 years with Discovery Rule. If plaintiff is under age six at time of act, plaintiff has until ninth birthday to bring action. In medical malpractice actions, damages are limited to $600,000, excluding punitive damages and past and future medical care. A health care provider’s personal liability is limited to $200,000 for monetary damages and medical care and related benefits; any amount due from a judgment or settlement in excess of $200,000 shall be paid from the patient’s compensation fund. 3 years from date of death with Discovery Rule.